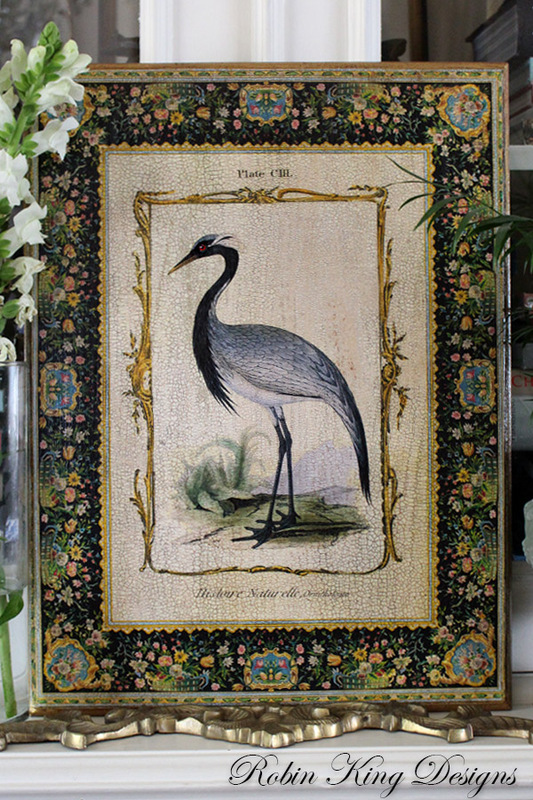 This beautiful Crane Plaque is the perfect piece to add a little natural history decor to your home. Inspired from an antique natural histrory plate, the 12 by 16 inch decoupage wooden plaque comes ready to hang. Handcrafted in Robin's Colorado studio, the piece is made to order and features her signature crackle finish. Made in the USA.